How do you deal with something as shocking as a divorce? The reasons for a marriage ending can be complicated and difficult. It could be because of communication and relationship breakdown after months or years of unresolved arguments, or sometimes a couple struggles to recover from an affair. Some couples stop putting time, energy, and love into their relationship, so they start to drift apart and intimacy fades. Whatever the case, being on the receiving end of news of your own impending divorce is soul-wrenching and devastating for most people. When you find out your partner wants a divorce, you can expect to feel a lot of remorse, anger and betrayal. Initially you may feel numb with shock and find it hard to believe. This is a completely normal reaction as you are trying to process news that feels like it’s beyond your understanding. It’s important you slow down and get lots of support for yourself at this time to deal with the shock of the announcement. Close friends and family are invaluable at this time. It’s likely you will go through an incredible range of emotions, from hate to self-loathing, self-pity, worthlessness, bitterness and many more. This is a very normal and healthy reaction to a traumatic experience. These horrible emotions may last for a very long time, but they will eventually pass. You need to remind yourself that you are not a failure because this marriage did not work out. Your life is forever changed, and you just have to acknowledge this and recognise it’s going to be a long road to healing and recovery. Get the support of friends and family, and remember that you are still worthy of love. You may suffer from a severe blow to your self-esteem when your years-long marriage has come to what seems like a sudden end. The holidays will inevitably be incredibly lonely, because of all of the good memories you had with him or her. This is why your network of friends and family are going to become essential in your healing. If you find yourself needing someone to talk through your feelings, certainly talk with your friends and family. However, remember they are not trained to deal with the experience of trauma and divorce, so it’s a good idea to seek the guidance of a professional relationship counsellor who understands the impact of divorce on an individual and family. Grieving is completely understandable, but life does go on. In fact, life goes marching on. You cannot spend all of your time regretting. Accept that you can’t do anything about what you’ve done before, and you can only really take charge of what you’re doing now. To get your daily life in check, you’ll need to assess your financial situation and make appropriate amendments to housing, jobs and finances (personal spending). Focus on your strengths and weaknesses so that you can reorient yourself for your own success. Undoubtedly, this is a difficult time for everyone in your immediate family. If you have children, it is incredibly important to take care of yourself so that you can be there for them. You can do this by making it a priority and doing something good for yourself, like trying out a new class, working out, or reconnecting with an old hobby. If a divorce is sad and confusing for adults, it’s even more so for children. You need to help your kids cope with divorce through creating some stability in your home. Stay involved in your child’s life and do not fight in front of the children. Try your best to agree on matters that are related to the child with your ex, and do not be jealous or upset when the kids spend time with your ex- this will make a child feel like they have to take sides. Be realistic, create an easy-to-follow routine, and reassure your children that their lives will be okay and that both parents are going to be there for them. Define a new relationship with your ex for your children, as common allies. A divorce has some of the same rules as a breakup: you can’t date until you’re ready to do so. This applies to your ex too, and regardless of whether they followed the rule, you have to take the high road on this. 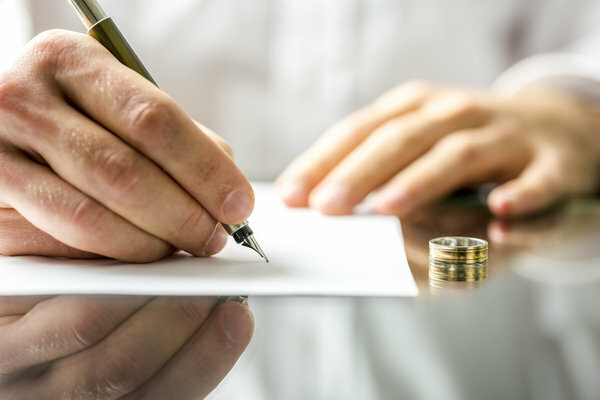 While there are many good reasons to not rebound after a divorce, the most important reason is for you to adjust to your new life and start to heal the pain you feel. Learn how to celebrate living as a single before rushing into a new relationship. Take your time and get yourself grounded first. If you’re going through a divorce and need support, contact Clinton Power + Associates to ask us about for divorce counselling. We are experienced and passionate relationship therapists that understand the unique challenges of ending a relationship and starting a new life. Book a FREE 15-minute consultation online today.